First It was under Ricoh instead of Pentax. Probably 's got something to do with it. Only 1 user... I'm guessing it will take some time to rescan the EXIF data of the existing photos? Though the list of cameras still show just 1 user and 0 uploads, the camera page itself shows correct details. It's already #2 of 102 Pentax cameras. Heh...one of mine showed up under the "interesting K-3 photos" heading. :-) Not sure if everyone sees the same thing, but I'm ok with that. pesterle, on the shot which you have listed as interesting in the K-3 page, did you modify the EXIF in any way prior to uploading? Flickr first added the K3 under Ricoh instead of Pentax. Maybe that screwed things up. The K-S1 is also not listed yet. For the first six months or so of K-3 ownership the little camera image in the Flickr exif looked like an old Polaroid Instamatic. Nice to see they are catching up finally! 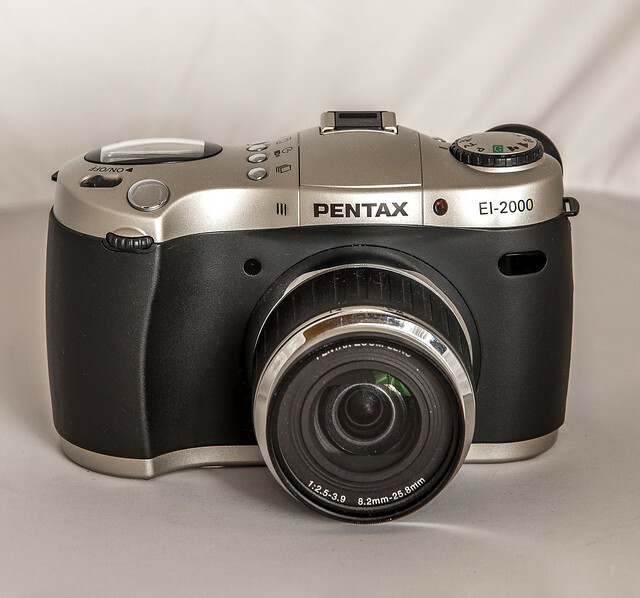 It has "Pentax K-3" in the camera and EXIF info. I'm pretty sure that it used to include the "RICOH" information, but now doesn't. Another of my photos (just from a small perusal of my photostream) still has the RICOH information. So maybe they are going through the photos and updating what they display in the camera information (and how they interpret the EXIF data). Look at the price flickr quote for the K-3 there: $789. That's gives you an insight into when flickr decided to make the revised [non-Ricoh] K-3 update happen. $789 certainly wasn't the K-3 launch price in 2013, nor is it the current recommended retail price of the K-3. It's probably the sale price of the K-3 kit at B&H at the time the flickr staffer who was responsible for the change decided to add the K-3. I wish flickr was more responsive about making these changes. It shouldn't take over a year to get a popular camera into the database, nor should users have to implore flickr to make the changes. Last edited by rawr; 01-22-2015 at 04:47 PM. Well thanks to Flickr I now now about this camera. https://www.flickr.com/search/?q=Pentax%20EI-2000 It isn't even in the camera reviews over here. I have one and it is branded as Hewlett-Packard C912". HP and Pentax build for them for their imaging devision.